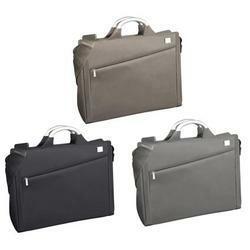 Document Bag with Computer Compartment - Express Corporate - Promotional Products - Delivered Fast! Designer Briefcase with Laptop Compartment. Shoulder straps and 2 anodised aluminium handles. Price includes 1 position engraving.